When Amazon hired the novelist Ed Park as a senior editor in its New York publishing office in 2011, it seemed an unlikely match. Mr. Park — a member of New York’s literary elite who had worked for the Poetry Foundation, co-founded a literary magazine and edited The Village Voice’s literary supplement — seemed ill suited to Amazon’s algorithm-driven business. But now, in the latest setback for Amazon’s publishing aspirations, Mr. Park is leaving the imprint to join Penguin Press as an executive editor. His departure reflects the challenges that Amazon faces in a publishing ecosystem that largely views the online retailer as a rapacious competitor. Most bookstores — having been undercut by the giant retailer — refuse to carry books published by Amazon, a major hurdle as the company courts authors and agents. As the sole editor at Little A, the imprint will be left in considerable disarray until Amazon finds a replacement. No, wait, Little A employs at least one other editor, besides Park. According to the Deals section of Publisher's Marketplace, Carmen Johnson has been signing deals for Little A since September. The NYTimes says that she will be taking over his role, but it looks like she did that a couple months ago. 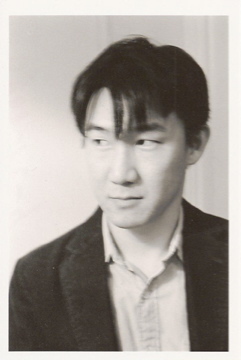 Speaking of book deals, guess how long it has been since Ed Park was credited with signing a new book deal for Little A? Sixteen months. Park was last credited with signing a new book in June 2013. Could someone tell me how the loss of a single editor who had stopped bringing in new books long before he quit could be a setback? If anything, I think the lack of book deals would mean that he is saving Amazon money on books which would never sell well (a gross generalization of literary publishing, but still mostly true). Jane Dystel, an agent who has done more than two dozen publishing deals with Amazon, said offers from the company — once generous, including even some six-figure deals — have largely fallen to the $10,000 to $20,000 range, and sometimes lower. Some of the writers she represents have returned to self-publishing. “It’s discouraging to those clients,” she said. Funny, that would seem to be an accurate description of just about every major publisher, and not just Amazon. Advances are shrinking for many authors, and a significant number are going indie. In another victory, one of Mr. Park’s acquisitions, a short-story collection by Shawn Vestal, recently won the prestigious Pen/Robert W. Bingham Prize for Debut Fiction. But his bids often fell flat. Some agents would agree to meet with him, then never send him anything, he said. Benjamin Anastas, who published his memoir “Too Good to Be True,” with Little A, said that while his memoir sold better than his previous books, he wonders how it might have been received if a traditional publisher had released it. Given that Johnson has signed two books in the past couple months, can you really say that agents are refusing to work with Amazon Publishing? Maybe, but I think you would need more evidence than a single departing editor. And today the NYT has a puff piece about Hachette and its “cozy” editor cubicles. Where is the journalist gutsy enought to investigate the financial connection(s) between staff and executives of the NYT and Hachette? The consistent repetitious thrust against Amazon by the NYT for many months has been so obvious, the idea that there are financial connections seems likely. The NYT wants Amazon reduced. Why? It’s likely more than some mere ambiguous affinity with traditional publishing. One has to guess there is serious money involved. Nate, definitely not. I subscribe to the New York Times daily (i.e., every day, not just weekends or during the week) and have for more than 20 years. Assuming that all ads are both paid for and printed, there is no doubt that Amazon buys more ad space than Hachette. In the Book Review section, for example, I can’t recall the last time there was an issue without at least 1 and usually more full-page and half-page ads from Amazon. In addition, Amazon advertises regularly in the main sections of the Times. There may be a bias against Amazon, but it isn’t because Hachette is buying more ads than Amazon. Well, that’s interesting. You just offered a good argument against the “big, bad, bully Amazon” meme. Here we have a newspaper which pimps out its news coverage to advertisers and an advertiser which is repeatedly bashed by said paper. You’d think Amazon would put their foot down, and yet it continues. So…he went from June of last year without doing any work? How much does this guy get paid? I’m sure he was doing something, just not what he was hired for. And yes, that is a cushy job. What’s more, it paid enough for him to live in Manhattan. If losing one editor is a setback for Amazon, how about Harlequin “losing” three? Aha! I knew that was somewhere. Thanks! For some reason I could not find that post. I knew it existed, dammit. Doesn’t it depend on the stature of the editors? Regardless of the actual number of contracts he signed, Park was/is considered a very influential voice in publishing. I suspect that the agents he spoke with would not have spoken at all to Amazon except for Park. Park brought legitimacy to Amazon’s publishing effort. As for why nothing went further than speaking, there could be a lot of reasons, including the authors Park wanted didn’t want to associate with Amazon, or what he was permitted to offer the agents wasn’t enough, or the agents got better offers elsewhere, etc. The article didn’t provide enough information to draw conclusions as to why Park didn’t sign authors recently. But Park’s reputation is well known and that reputation will be lost to Amazon. Plus it doesn’t look so great that he signed elsewhere for his own books rather than signing on with Amazon. He could have resigned as editor but signed on as author, yet he didn’t. A lot of other authors will speculate on the reasons and decide that perhaps they shouldn’t sign on with Amazon either, even if they do not know the real reason(s) Park went elsewhere.